EXCLUSIVE! 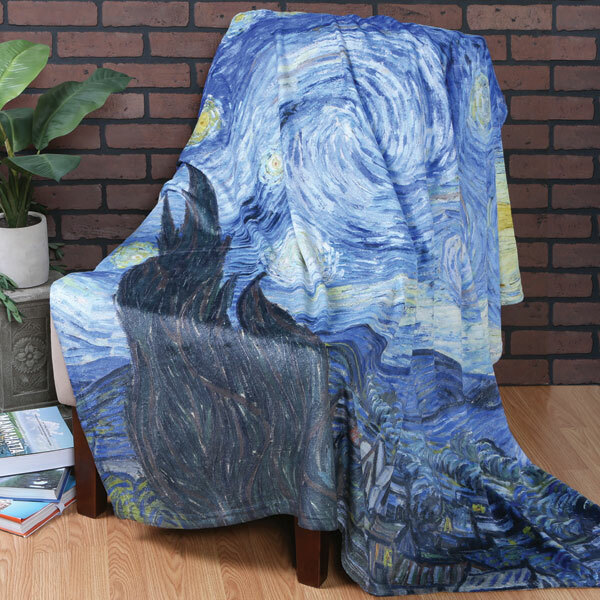 Now you can cuddle up under a "Starry Night" in the comfort of your living room. 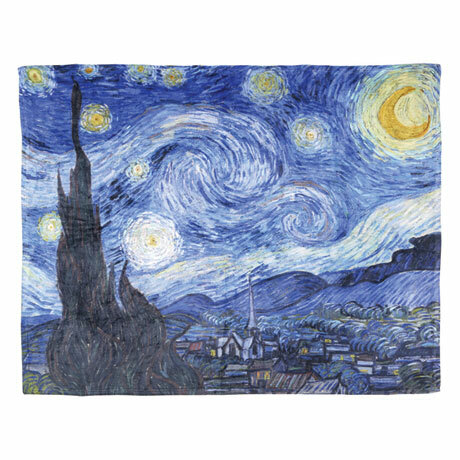 This soft, cozy coral fleece throw portrays Van Gogh's most revered painting in stunning detail. Blanket measures 63" x 49", 100% coral fleece polyester. Imported. Machine wash & dry.